Great rooms, clean and tidy. The apartment is located in a quiet place of town, but sits right on top of the Ftelia Bay, and has killer views. The host was awesome - available to help. Picked us up from the port and dropped us off at the end of our trip. Very nice view and perfect reception by the owner, totally recomended!!! View was great. Host very friendly and helpful. Nice and quiet location. A beautiful appartment with an awesome view on Ftelia bay. The terrace is great, we loved having breakfast here (if it's not too windy). AC in the living room and in just one bedroom. Convenient and tidy. 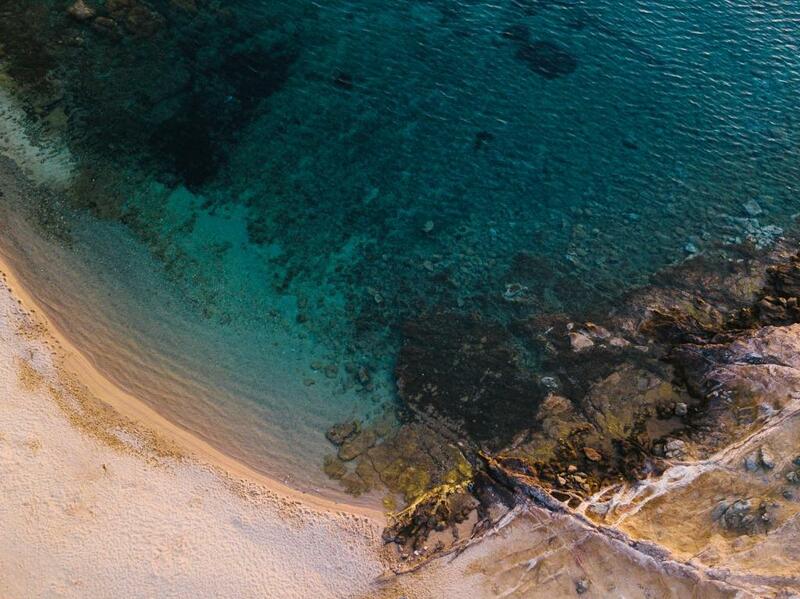 It's 15 minutes from Mykonos town/port. The last few roads are in bad shape and steep (our car couldn't take 5 persons + luggage up the hill). This place looked incredible. It was the perfect amount of space for my group of friends and I and the host was really nice and helpful even when the air conditioner was not working for a couple hours she was on it immediately and made sure it was fixed right away. Very beatiful appartment in the north of mykonos. The area was very quiet and relaxed. The beds are very comfortable and the rooms are cleaned everyday. Stavroula is a very nice host and so helpful and caring. She offered transfer to the port and airport as we had no car. We also got some eggs from their own chicken. The beach is a bit to walk, but we easily managed it with our two little kids (<4 y). The bed was the best sleep I've ever had throughout all of Europe. The apartment was beautifully decorated and the hosts were absolutely lovely people. Wished I could have stayed longer!! The owner was very friendly and attentive. We were very comfortable and relaxed, with nice views because there is a beautiful beach in front. And the center is near, like in ten-fifteen minutes. The apartment was very clean and maintained. The hosts were amazing. Upgraded for free, coffee on arrival, beautiful room with awesome views. Secluded but close to gorgeous beach. Would definitely recommend this to anyone wanting to relax n enjoy the Mykonos life. Lock in a great price for Ftelia View – rated 8.8 by recent guests! Ftelia View is located in Ftelia and offers self-catering accommodations with free WiFi access. Within 3.1 mi, you can reach the lively town center of Mykonos, as well as the island’s port. The apartments will provide you with air conditioning and a balcony. There is a full kitchenette with an oven and a refrigerator. Featuring a hairdryer, private bathroom also comes with free toiletries. You can enjoy mountain and sea view from the rooms. Mykonos Airport is located 2.5 mi from the property. The property offers free parking. This property is also rated for the best value in Ftelia! Guests are getting more for their money when compared to other properties in this city. When would you like to stay at Ftelia View? This apartment features a private entrance, stovetop and kitchenware. 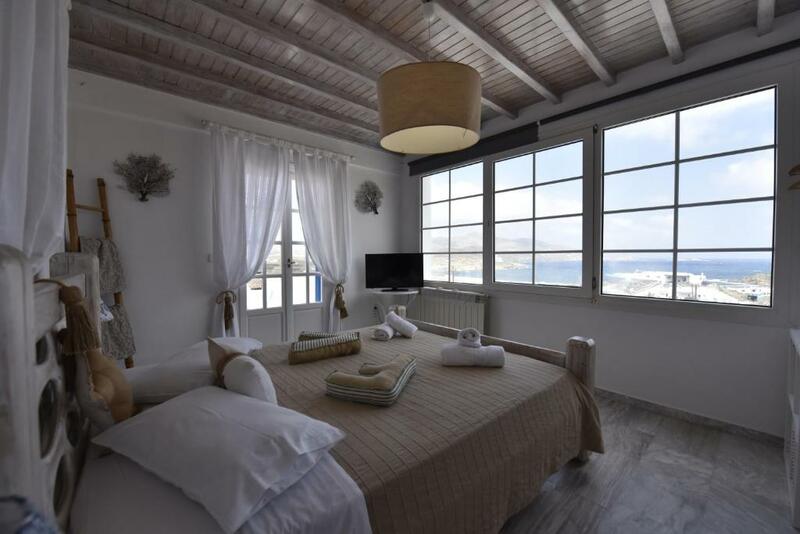 It also has 3 balconies and offers views of the mountains, the sea and the garden. This apartment features a stovetop, private entrance and balcony. It also offers views of the mountains, the sea and the garden. This apartment features a soundproofing, tile/marble floor and oven. This studio has air conditioning, stovetop and electric kettle. This family room has a kitchen, air conditioning and tile/marble floor. 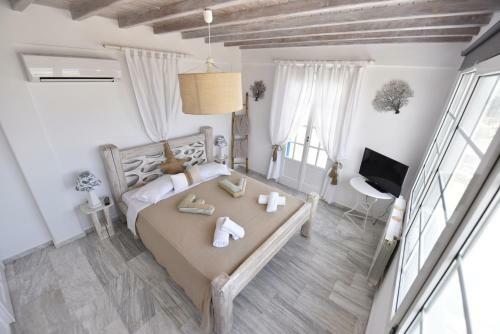 A family business in the most peaceful and picturesque area of Mykonos, Ftelia. A stone's throw from the sea and installed in a strategic position on a hill as reference the view. The hospitality and service is the special point of having to manage the family itself. the best choice if you want to spend days of relaxation and happiness discovering the natural wealth of Mykonos You can also bring your pet as long as you have informed us from before about it. 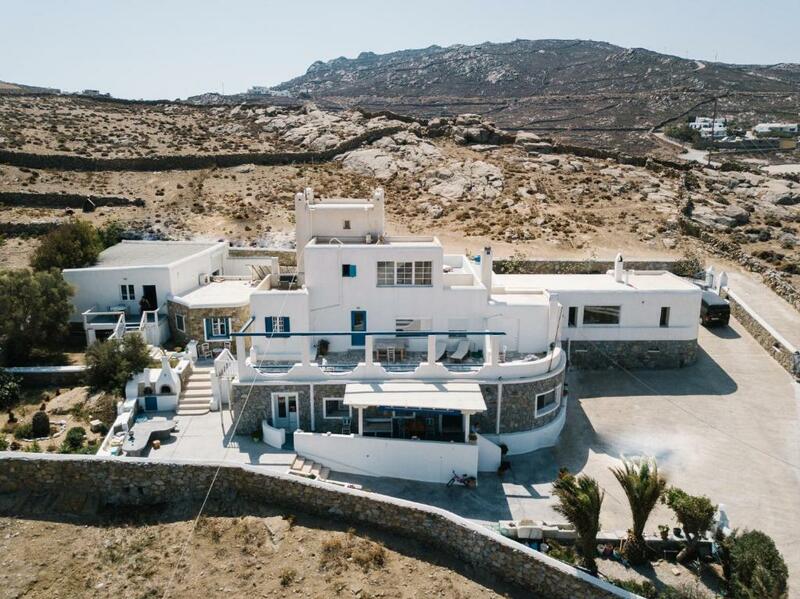 My name is Stauroula Galouni.I was born in Mykonos in 1974 and live here since then and i am the manager of "FTELIA VIEW"
House Rules Ftelia View takes special requests – add in the next step! Ftelia View accepts these cards and reserves the right to temporarily hold an amount prior to arrival. Please note that linens are changed every 3 days. Please inform Ftelia View of your expected arrival time in advance. You can use the Special Requests box when booking, or contact the property directly using the contact details in your confirmation. I loved everything, highly recommended. For our budget, this was a lot of money, but I guess that's what you pay on this island. We visited Crete the week before, and this was more than double the money... For this price, we would have expected a swimming pool. 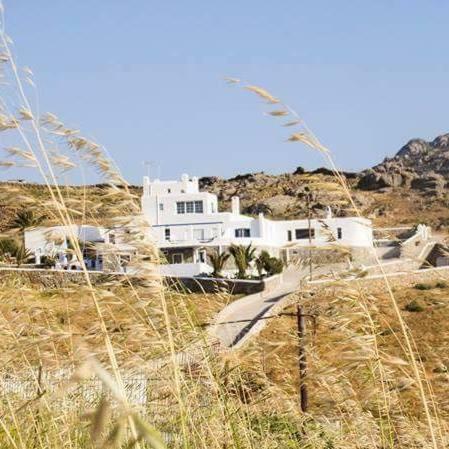 The only thing is Ftelia is pretty far from Mykonos Town and the party venues. The beach is also a lot further then the pictures display. If you are staying here PLEASE HAVE A CAR. It's on top of a huge hill, not made for walking and not safe for walking. The shower was a little bit awkward, and it was slightly difficult to travel around the island from the location but perfect for a romantic getaway or a relaxing holiday with family and it's still only a €20 taxi to town or paradise beach.